Erik Satie’s concept of musique d’ameublement (furniture or furnishing music) ensures that he is viewed as a precursor of minimalism, muzak, and many other 20th-century musical genres. The concept can be traced to his early career as a pianist in Montmartre cafés, where he accompanied singers and shadow plays. Satie developed musique d’ameublement in Montparnasse during World War I in collaboration with other artists. This talk examines the concept and meanings of Satie’s furniture music, focusing on the entr’actes he composed for Max Jacob’s play Ruffian toujours, truand jamais (1920), a novel fusion of theatre and music. The play is unpublished and was believed lost, but it has recently come to light in the Bibliothèque Nationale de France. Caroline Potter is a writer and lecturer who specialises in French music. 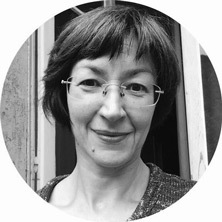 A Visiting Fellow of the Institute of Modern Languages Research, University of London, and consultant to the AHRC-funded Baudelaire Song Project, she has published books on Satie, the Boulanger sisters, and Dutilleux. She is a frequent broadcaster and was Series Advisor to the Philharmonia Orchestra's 'City of Light: Paris 1900-1950' season. Her latest book, Erik Satie, a Parisian composer and his world (Boydell Press, 2016), was named Sunday Times Classical Music Book of the Year.